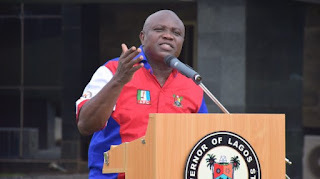 The Lagos state government has reversed the decision to close 18 major roads for the campaign visit of President Muhammadu Buhari. Buhari is expected in Lahos, on Saturday, for the grand finale of his reelection campaign across states. Demola Seraki, a former minister of state for defence and chairman, transport committee of Buhari’s campaign visit to the state, had said access would be restricted on 18 major roads in the state. But at a press conference in Alausa on Friday, Ladi Lawanson, commissioner for information, said there would no longer be road closure.